Breaking up may not be hard to do if Amazon’s Jeff Bezos is to be believed, but when it comes to companies – the special situations market is growing arms and legs. Now, as money managers scramble for value, legend George Muzea is partnering with trendsetting firm The Edge following the success of their quarterly Spinoff conference in NYC. 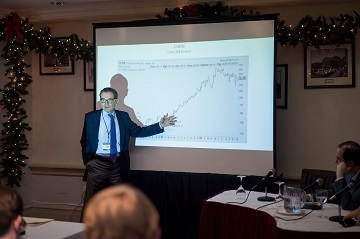 The veteran insider analysis expert with over forty years’ experience has worked with some of the world’s most prolific investors. Renowned for its success in monitoring, tracking and the scrutiny of global Special Situations and Spinoffs, Jim Osman (CEO of The Edge) is thrilled by the new partnership.